The client knew that they wanted a wedding ring with some diamonds. After a bit of consideration, they decided on channel set square diamonds 60% of the way around the ring. 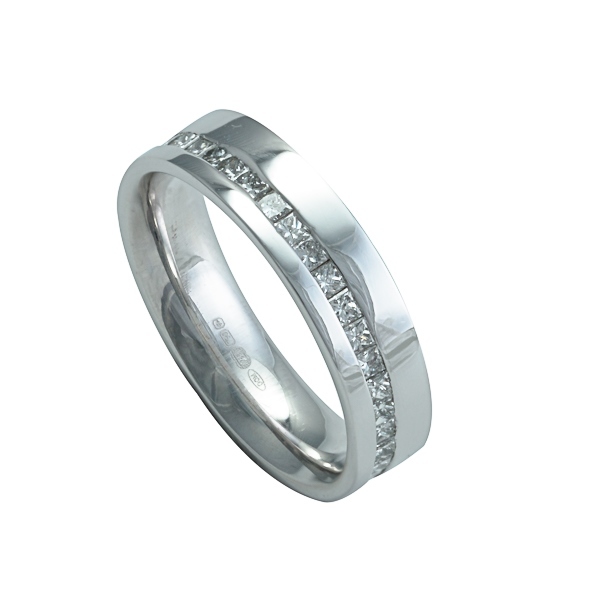 The ring was made in 18ct white gold and set with .50cts of VS quality F colour diamonds.